This is a crochet blanket pattern which can be resized as you wish. The pattern is easy to follow even a beginner can understand. You have to know the basic stitches and shell stitch to crochet this pattern. The blanket is crocheted with a multi-colored yarn which gives it a unique look however, you can choose a single color and still get a nice look from this pattern. 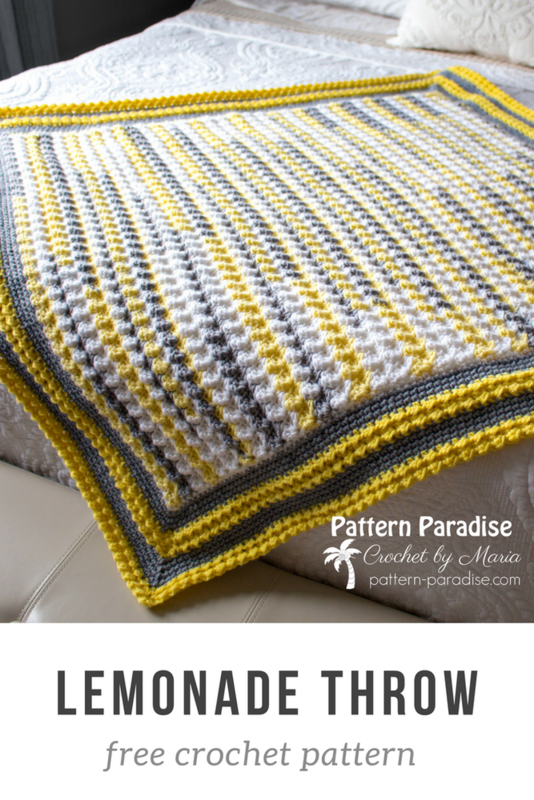 This is the written crochet pattern for this Crochet Lemonade Throw.